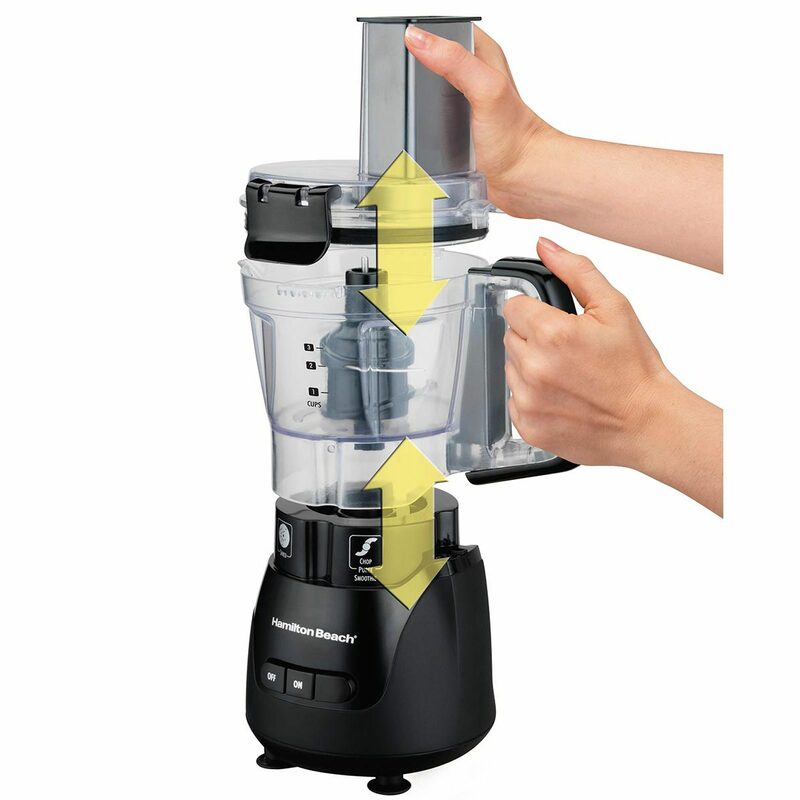 Process and blend foods in a versatile & compact processor. 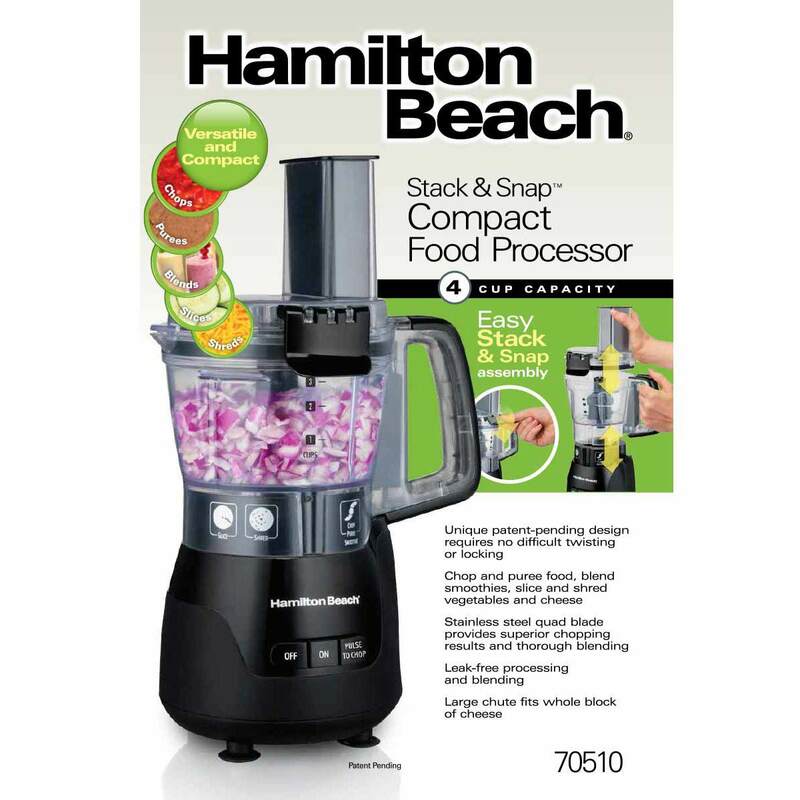 Make everything from salsas to smoothies with the versatile Hamilton Beach® Stack & Snap™ Compact Food Processor. 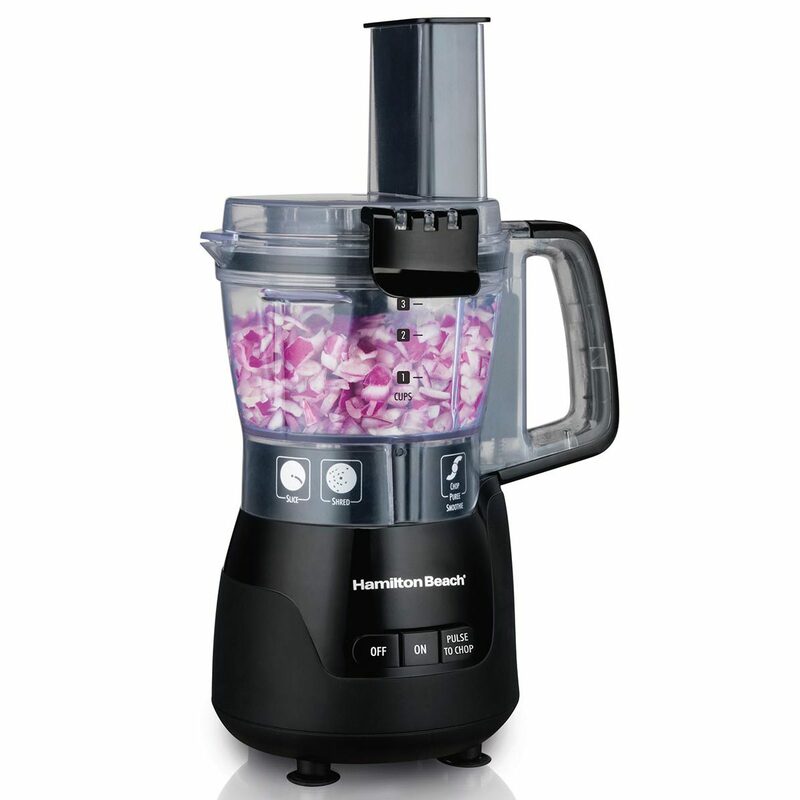 Fast and easy to use, this perfectly sized food processor lets you chop, puree, blend, slice and shred. Designed to be uniquely simple, there’s no twisting, turning or locking required when assembling the food processor – it’s as easy as stacking the bowl onto the base, then snapping on the lid. A function guide eliminates any guesswork by showing you which blade to use and button to press for the results you want. 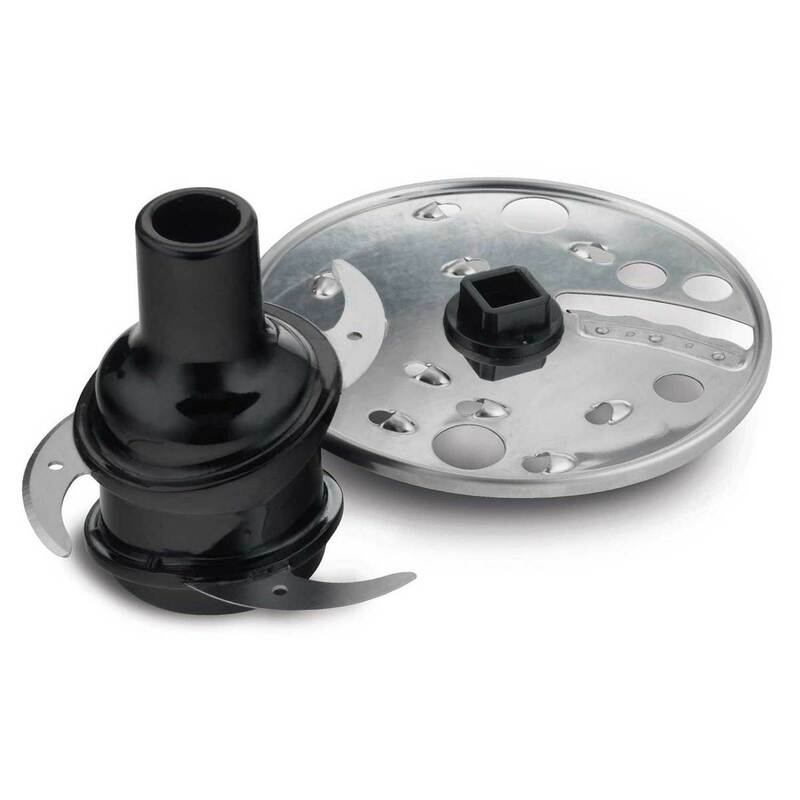 And you can process liquids without worry because the bowl’s motor hub is sealed and the lid is lined with silicone to prevent leaking. The large chute can fit bigger pieces of food, saving you prep time. Dishwasher safe parts make for quick cleanup, and the compact size with cord storage makes putting it away a simple step. Get processing in a snap with no difficult twisting and locking. With the Stack & Snap™ design, the bowl fits directly onto the base without any turning and the lid clicks securely into place with simple snaps. Fit more in the chute– like a whole block of cheese – when using the reversible processing disc for shredding and slicing. Shred cheddar for mac n’cheese, slice apples for a pie, chop vegetables for a salad. Or even blend up your favorite fruit smoothie. It’s all possible using the reversible disc and stainless steel quad blades. The 4-cup bowl is the perfect size for making a single-serve icy drink or chopping up vegetables for a main dish. The compact design makes for quick cleaning and ideal storage. 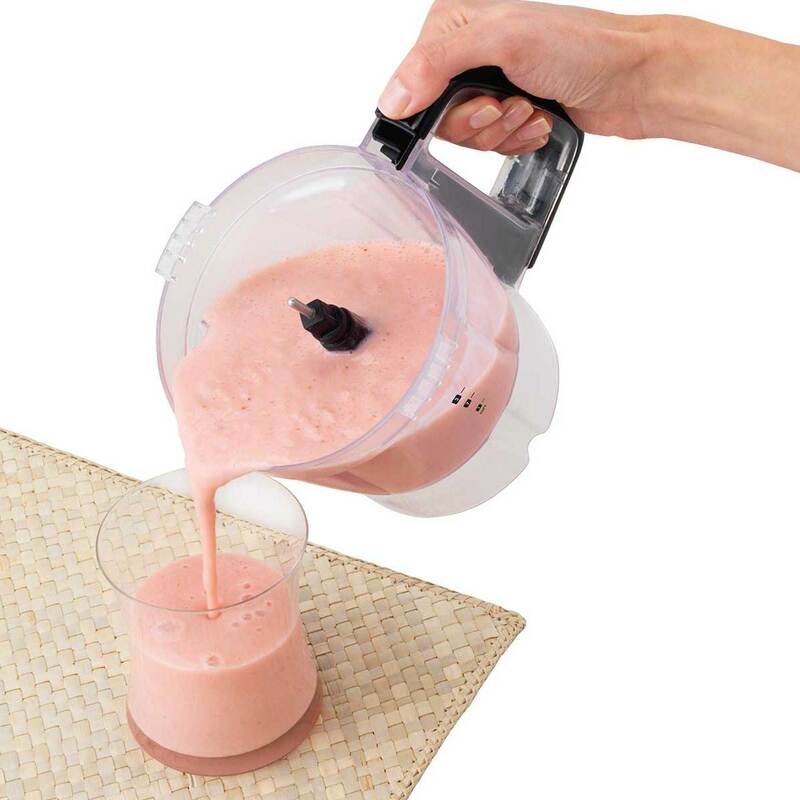 Make your favorite frozen drinks in the Stack & Snap™ Food Processor. The stainless steel quad blade can thoroughly mix and blend ingredients, including ice. 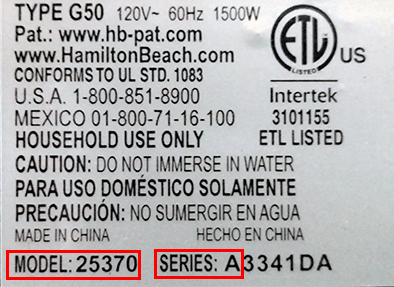 There are no leaks to worry about thanks to the bowl’s sealed motor hub and the silicone seal on the lid. 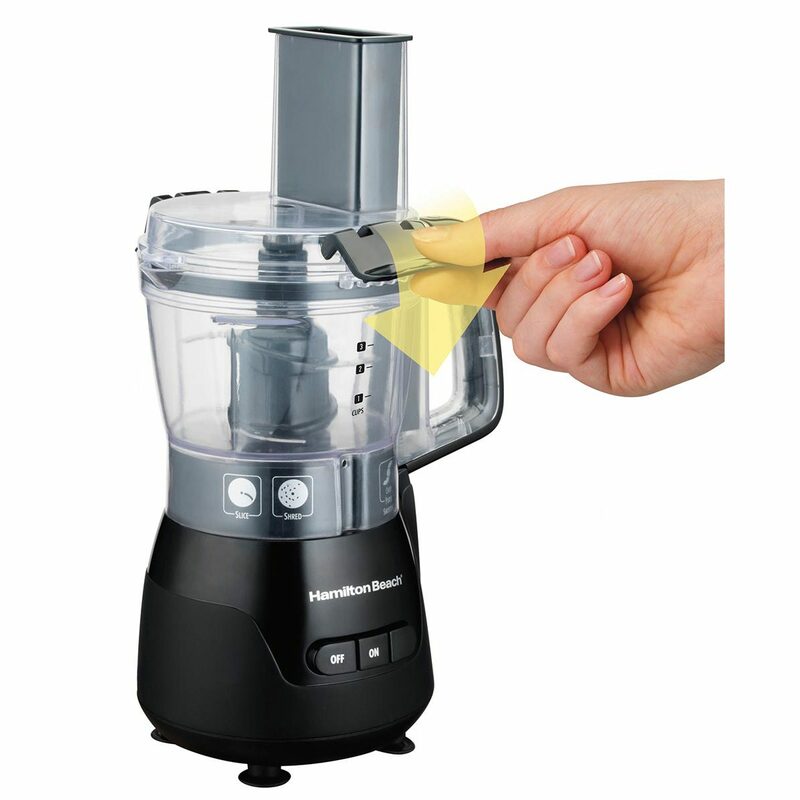 The Stack & Snap™ Compact Food Processor includes a reversible slice/shred disc and stainless steel quad blade for chopping, blending and pureeing. The two blades, along with the processor’s bowl and lid, are dishwasher safe.